Three army cadets were involved in the dramatic rescue of a man in difficulty in Macduff Harbour, Aberdeenshire on 12 July. The three cadets, Jordan Anderson (15) and sisters Katlyn (15) and Shannon Wilson (13) are cadets with 2nd Battalion the Highlanders ACF. They were with Kyle Chapman (15) who also assisted in the rescue. The four teens were enjoying the sunny afternoon in Macduff when they spotted the 41-year-old man in trouble after he jumped into the harbour for a swim. 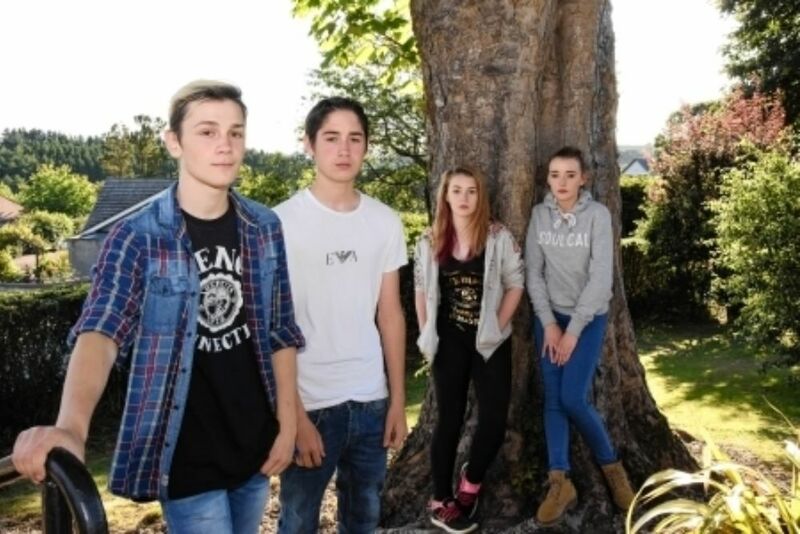 One of them jumped in to help him when he started drowning, another threw a lifebelt to his friend and two sisters were able to comfort the man’s partner who was in shock. "I jumped in and swam to him as fast as I could,” said Jordan. “I hit my leg on something and had to turn back, but went back a second time." "I was able to throw the lifebelt to Jordan who swam out to get him. Jordan managed to get his head above water. The ambulancemen, Jordan and two other guys were able to get him out of the water," Kyle added. Katlyn and Shannon realised that the woman was in shock and were able to calm her down thanks to their cadet first aid training, while coastguards and paramedics fought to save the man’s life at the harbour side. "We are really proud of all of them. I was there not long after it happened and the kids were amazing,” said Kelly Wilson, Katlyn and Shannon’s mother. "I hope someone would do the same if I was in that situation," Jordan said on the rescue. The police confirmed the following morning that the 41-year-old man, from Aberdeen, sadly died in Aberdeen Royal Infirmary after being airlifted by the coastguard helicopter. ‘All the cadets were clear headed and instinctive in their actions. Jordan in particular showed courage and despite not being a great swimmer went straight to the rescue aided by a friend. Katlyn put her first aid training into use learnt through the ACF. They were a great credit to the Army Cadets,’ said Major Ken Masson.